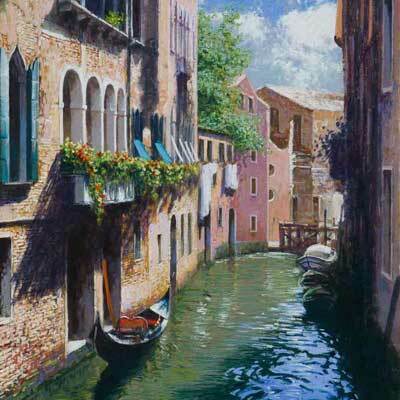 Mario Sanzone was born in Naples in 1946. 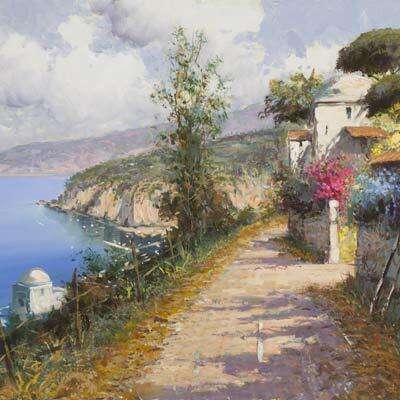 He studied in the Fine Art Academy, Naples where he continued to live and work. Following his studies, Mario Sanzone begun his artistic career as a professional artist taking part in numerous exhibitions, both in Italy and abroad. 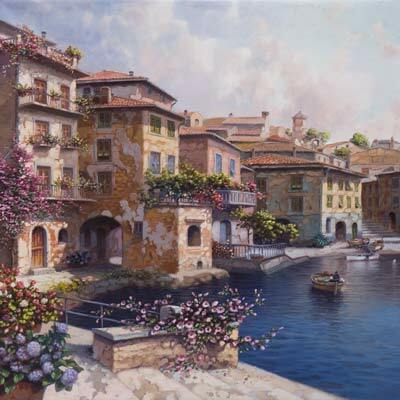 Sanzone has always received great acclaim from critics and public alike and his works can be found in important private collections. 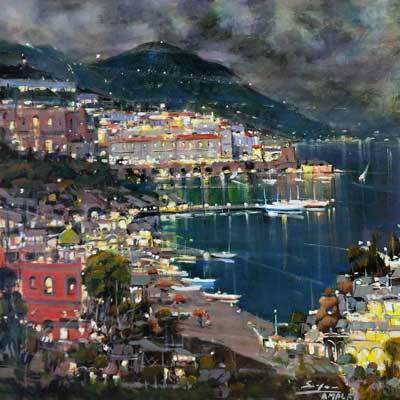 Mario Sanzone is best known for his atmospheric portrayals of the Amalfi coastline, which often concentrate on the subtle effect of twilight on cities at night. 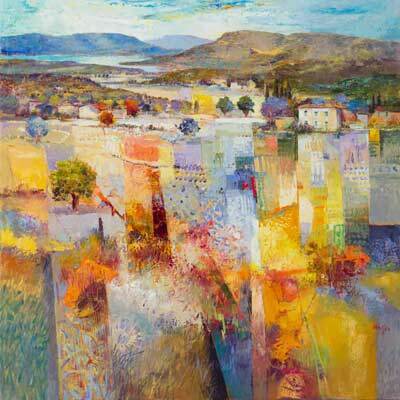 His work is admired for the luminous palette in which he works and his original technique, skilfully combining the use of both brush and palette knife.